Office/Storage Combo Units are great for having on the job offices. These units feature phone lines, heating, a/c and power. So you can operate your business from the job site conveniently. All units do not come standard with desks, shelves or door cages. Office/Storage Combos come in both 20 and 40 foot Units. Mobile office containers come in khaki color. 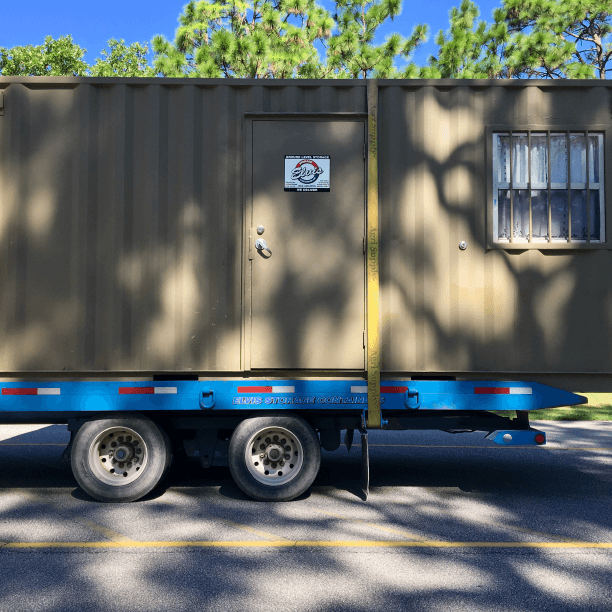 If you need a different color for your construction office container, we will be glad to discuss what options are available for rental office boxes. 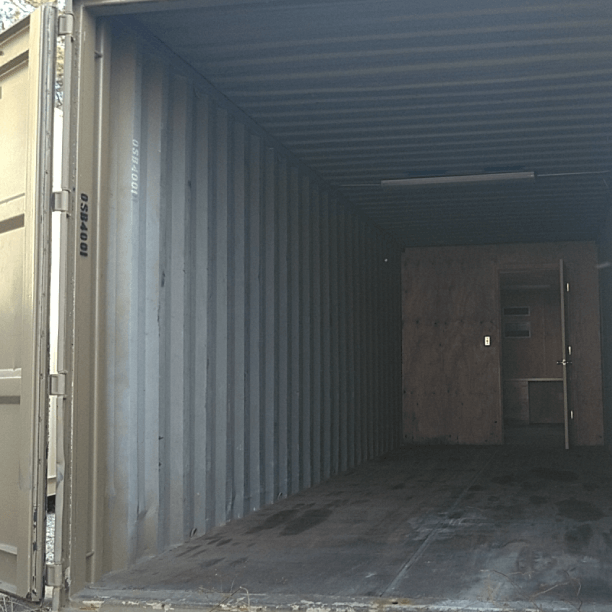 20 foot office storage container is 15 feet of office space and 5 feet of storage space. 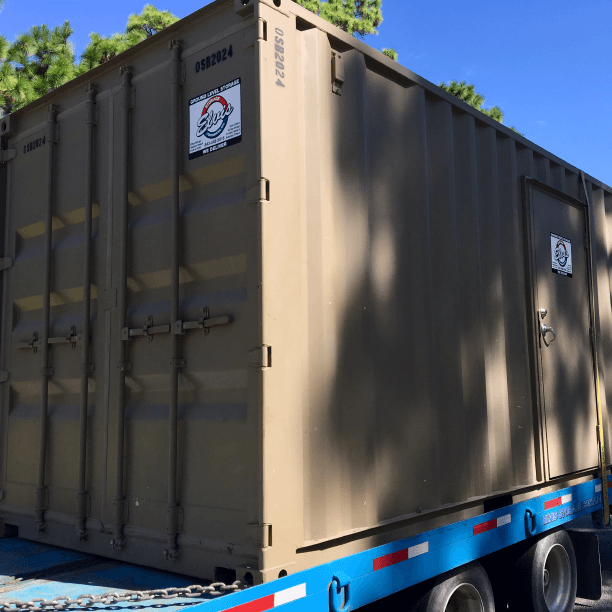 40 foot office storage container is 15 feet of office space and 25 feet of storage space. These mobile office boxes are secure on both the storage end (double door on end of conex box) and on the office door. Windows are secure with steel reinforcement. 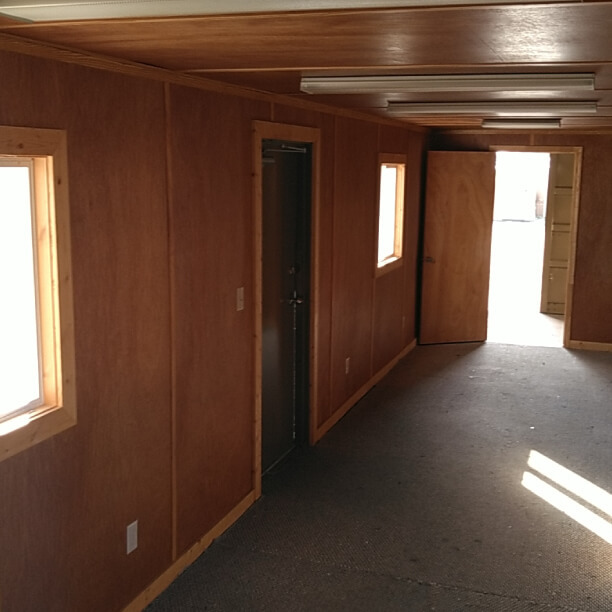 The offices have air conditioning and heat so you can work on your construction site in comfort. We can deliver these on site offices to ground level on your construction site with a prompt and dependable team of delivery personnel. Our offices are staged throughout the eastern Carolinas for quick delivery. Charleston, Myrtle Beach, Florence and Wilmington can all be easily reached from our home office in Myrtle Beach. If you need a rental office for your construction job please call us for secure offices and quick delivery. 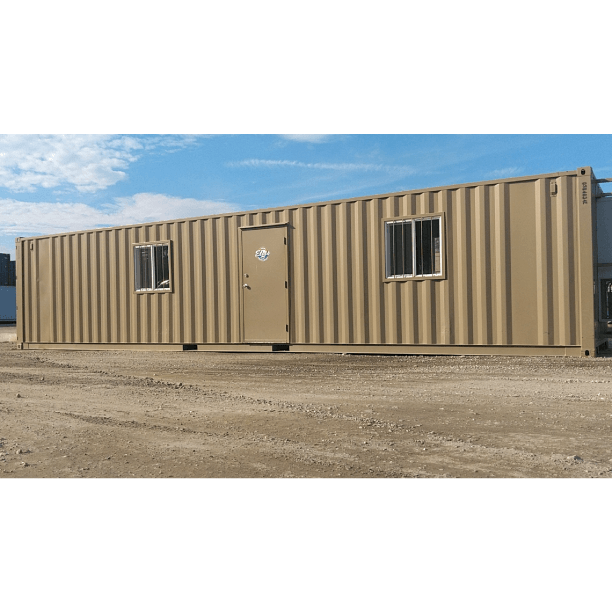 Ground level offices (GLOs), office containers, container offices and security offices. The tough, secure, affordable and relocatable on-site space solutions. Seabox rentals require No Set Up Charge. Secure Conex officesQuick and Easy Delivery. High security office boxes have Convenient ground level access. Ground level offices have No Steps or Skirts to set up. 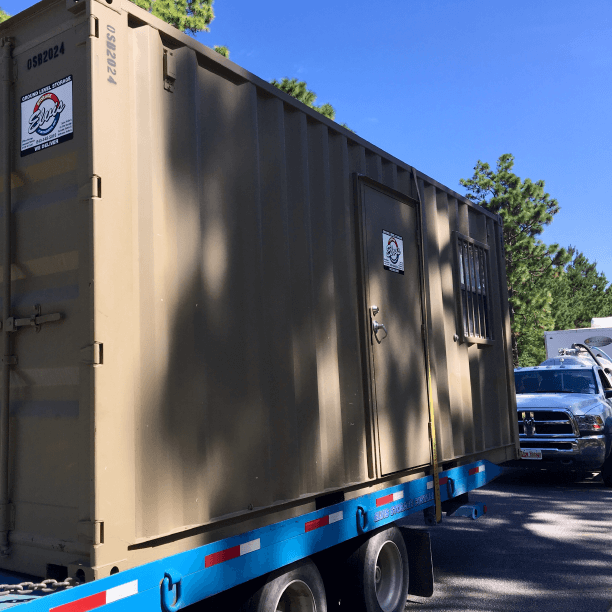 These office units can be delivered directly to your job site in the Myrtle Beach, Florence, Charleston, or Wilmington areas to make your next job site a more efficient working area. This is a type of mobile office that does not need to be strapped down becuase it is a ground level mobile office unit. 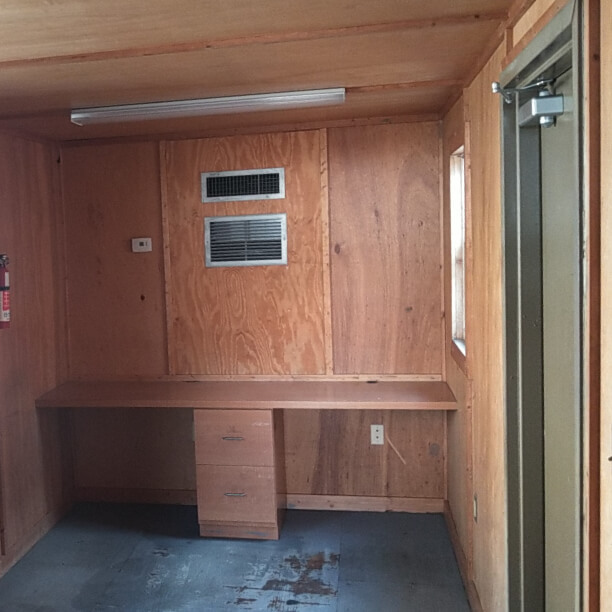 These portable offices are secure and able to withstand the most intense construction conditions. Great for mill shutdowns, commercial construction jobs, new housing development construction projects, or special events. Each unit has an area available for storage and an area available for the construction office. 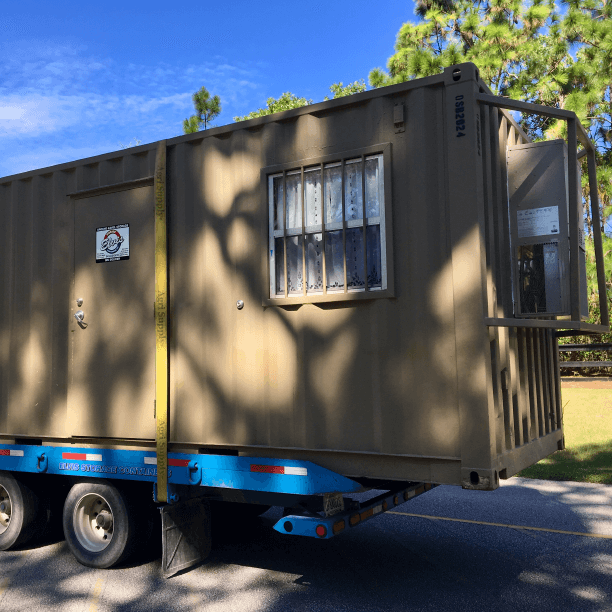 We rent and lease these units in South Carolina and North Carolina in Myrtle Beach, Florence, Columbia, Charleston, Wilmington and the surrounding areas.